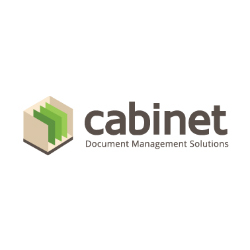 Since 1999, Cabinet Document Management Solutions has helped hundreds of clients successfully deploy enterprise-class document management software systems. The company strives to make the efficiency, security, and sustainability of a paperless office accessible to any organization – from large enterprises to small and mid-sized businesses. Cabinet maintains the belief that “going paperless” empowers clients to save significant amounts of money, improve workflow efficiency, securely operate in multiple locations, support remote workers, meet compliance requirements, and reclaim wasted office space. SAFE document management software provides a completely paperless office and business process automation solution. The software examines a client’s organization processes, rules, and workflows, and then meets the exact needs required – creating an efficient, fully digital version of document capture, storage, retrieval, and workflow processes.